E-Man's Movie Reviews: Star Wars Force Awakens Movie Ticket GIVEAWAY! How it works: Fill out the form above. The more entries you qualify for, the higher your chances of winning. This specific giveaway begins 12/15/2015 9:00am (CST) ends 12/17/2015 11:59 pm CST. 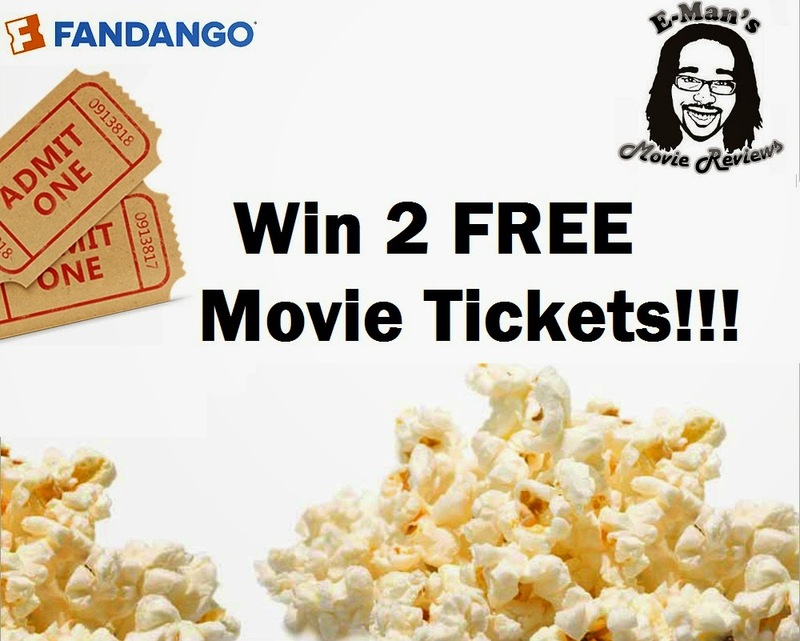 The Prize: FOUR randomly selected winners will win 2 Free movie tickets, compliments of Fandango.com. The tickets are good for any movie (where Fandango can be accepted), each ticket has a value of $20, and they expire 12/31/2016. Winners will be announced either on our Facebook Fan Page, one of our other social media pages, and/or directly via email. The tickets will be in the form a promotional code that will be sent directly to the winner(s) upon replying to the winner notification email. Winner has 1 week to claim their prize (by responding to the winner notification email) or else another winner will be selected at random. Eligibility: Prize is available to U.S. residents only. Direct family members of Eman's Movie Reviews are ineligible for any giveaways. Winners should first check with their local theaters first seeing as though all theaters do not use Fandango for ticket purchases. Click here for other Official Rules.